The Rachel Comey Store in Los Angeles, CA is located on Melrose Place in West Hollywood. All interior finishes including floors, ceilings and all walls were removed to seamlessly connect the 3 buildings that make up the store. 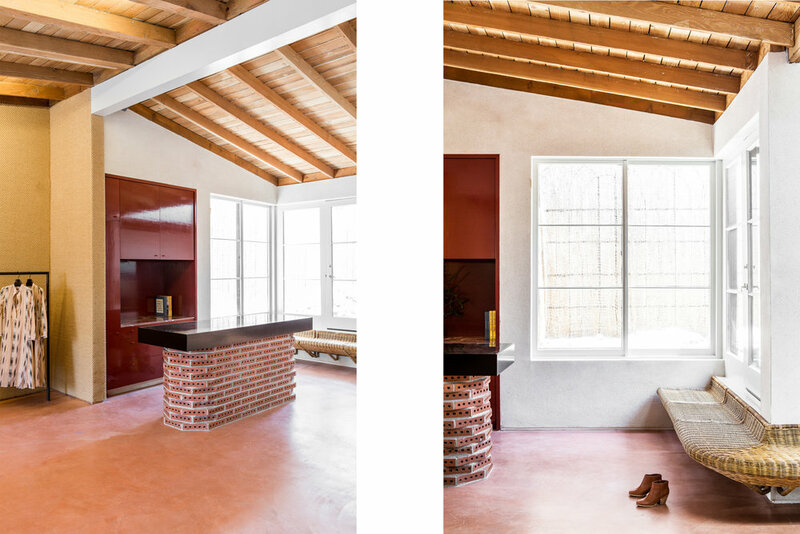 Floor elevations were leveled, existing wood joists were exposed and decades of paint was sandblasted to provide the rich, warm finish of the exposed aged wood throughout the space. 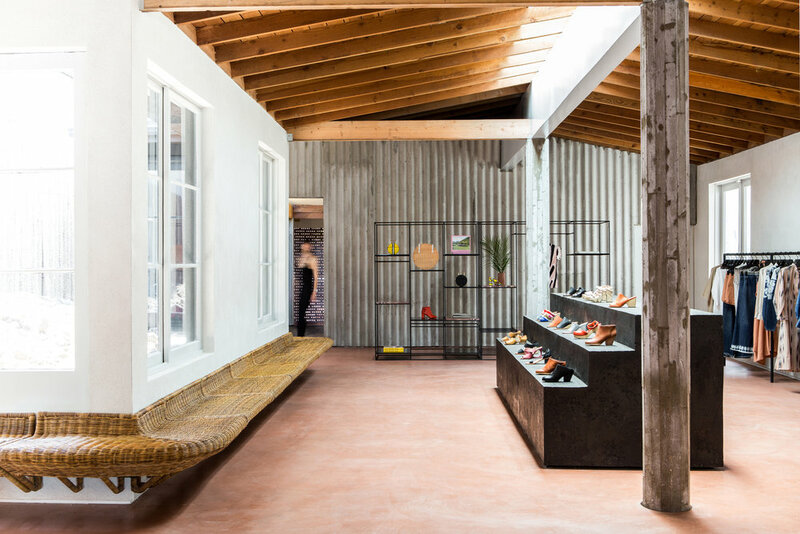 A large central skylight was custom-made to provide natural light and a perceived center above the shoe display. Additionally, large, North-facing, sawtooth skylights were built to create unique, architectural dressing rooms with flattering, natural light.